Want to know a bit about the Fiji language? Find out about Fijian, it's history and it's place in Fijian society today. Plus a few handy words for your trip. Visit the Languages of Fiji page for an overview of all the major languages in Fiji today. 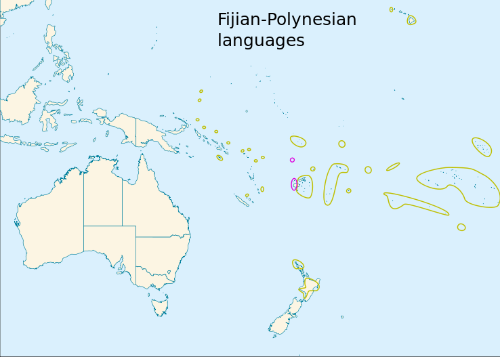 Fijian is an Austronesian language of the Malayo-Polynesian family. The population of Fiji is estimated at 896,000. Out of that, 300,000 uses Fijian as their first language, and another 300,000 as their second language. Although English is widely used in government, business, and education as a lingua franca, Fijian still has it's place in business dealings, especially away from the bigger town centres. Today's standard Fijian is from the Bau dialect, or Bauan. Bauan was selected by the early missionaries for two reasons. One because it had some prestige attached to it, similar to that of French in Europe at the time. And the second reason is that Bauan was the language of the then politically dominant island of Bau. It became the standard for printing and communicating. By the mid to late 19th century, Bauan had spread to western Viti Levu, where Suva is today, where they spoke a completely different set of dialects belonging to the Western Fijian Language. As shown on the map Bauan comes from the East-Fijian language group, while Vite Levu at the time came from the West Fijian-Rotuman group and practiced a different culture. Bauan has spread and now it's fingermarks can be found in many West-Fijian dialects. Even today, Rotuma is distinctively different from that of the rest of Fiji. Today's Fijian has evolved over 150 years and now includes a mix of English, Hindi, and other Fijian dialects. It's not surprising then, that it is quite distinct from that of the original Bau dialect. 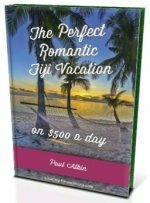 There's a few words that you will become accustomed to very quickly on your Fiji holiday. For a heads up and a cultural head start, visit our 10 Words to Know for your Vacation Fiji page.